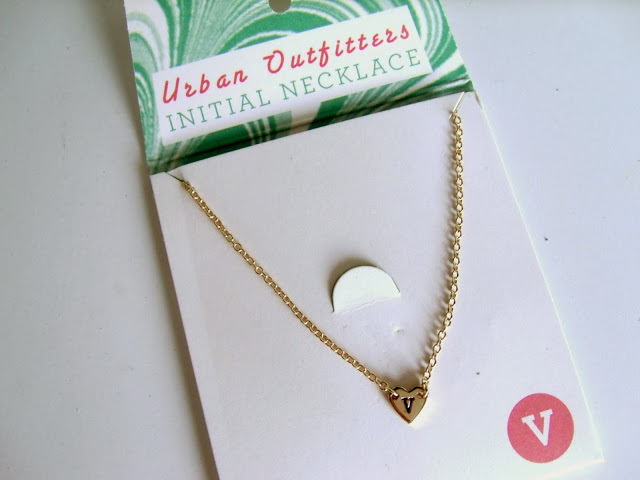 I’ve always loved browsing the Urban Outfitters website, and recently I came across some really cute items which I think would make perfect stocking fillers. I never realised before how reasonably priced some of their homeware and gift items are, especially when you apply a discount code. I treated myself to a few goodies as they had 25% off homeware items at the time, so I managed to get quite a few lovely pieces at a discount. When I first saw this pretty floral wall hanging I thought it was just a nice canvas picture. 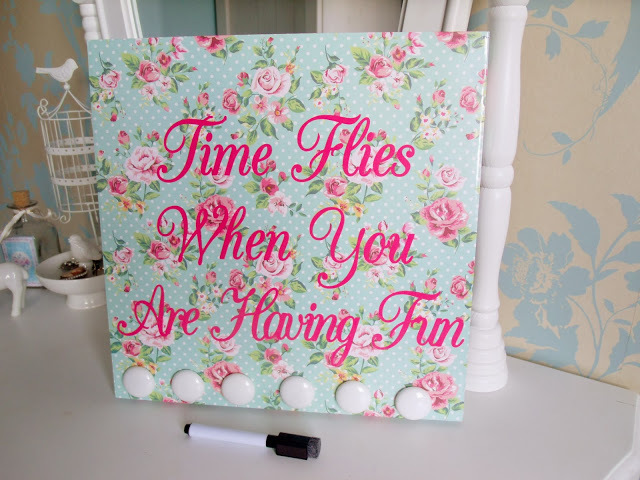 I’d fallen in love with the pretty pattern and cute quote so thought it would look nice hung up on my bedroom wall. But when it arrived it had other uses, it’s actually a white board that you can use the felt tip pen on, and it also comes with little button magnets! Practical and pretty, and only £12. You can never go wrong with a pretty pair of undies as a Christmas stocking filler! I picked this simple black lacey pair, they were on a 3 for £15 offer. 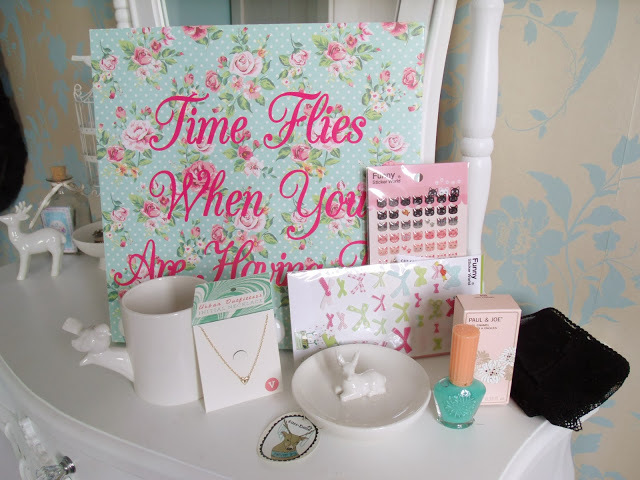 I absolutely adore my new dressing table trinkets! The birdie tumbler is actually a toothbrush holder but I thought it would be perfect to use as a make up brush holder. 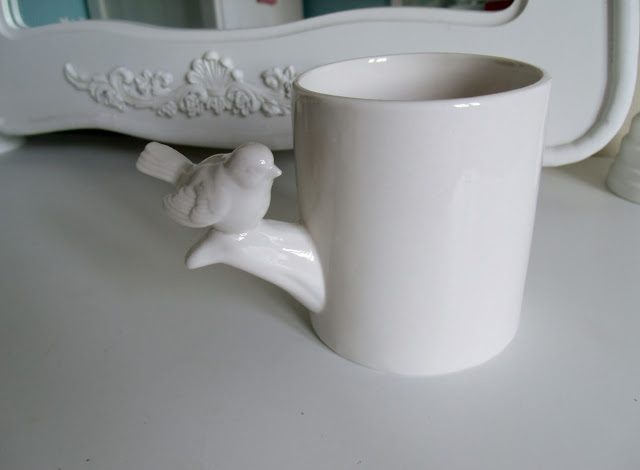 It’s so sweet and goes perfectly with my bird themed dressing room, and it matches my old bird jewellery trinket dish. This was only £8, which I think is quite reasonable as it’s ceramic and quite sturdy and large. 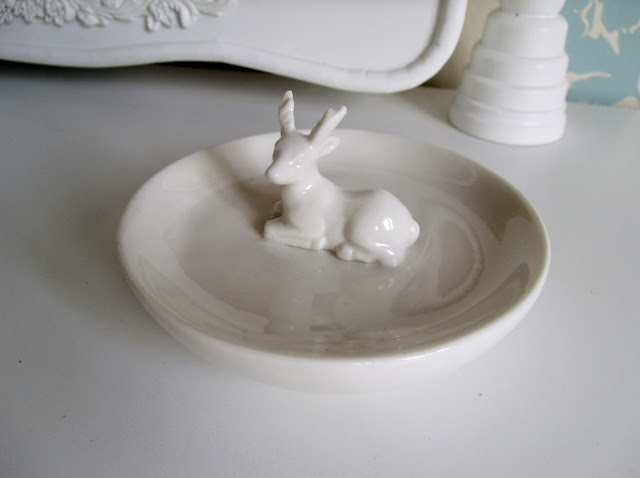 The deer ring holder I thought was also very sweet and even though it doesn’t necessarily match the bird theme of the room, it matches my white ceramic deer that I’ve got on my dressing table currently. This was also £8 and I think it would make a very nice gift, and it’s great for storing jewellery and little bits and pieces. I’ve always wanted to try Paul and Joe cosmetics, and Urban Outfitters sell a small range of their products. I picked up this Caribbean nail polish for £12, from their limited edition summer collection. I can’t wait to try this! I couldn’t resist this sweet little initial necklace. I love personalised items and this is really sweet and dainty. The charm is a little bit smaller than I thought it would be, but I think actually it’s better small, it looks cuter and less ‘bling’. These necklaces are £10 each and I think anything personalised is always a great idea for a special gift. And lastly, I couldn’t resist their stickers! 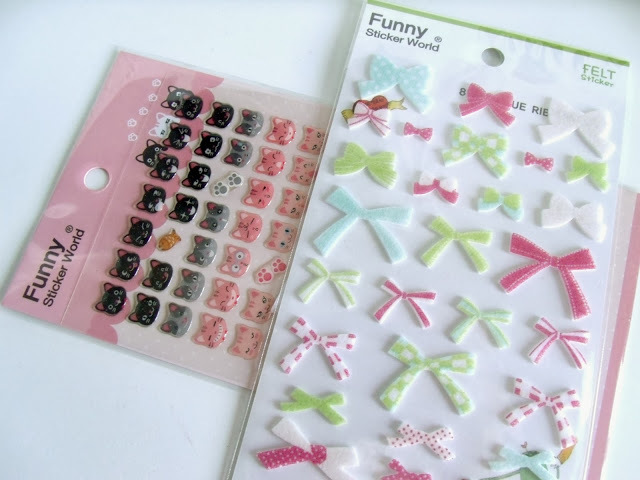 Especially the cute little cat stickers, each one has a different facial expression! haha, I will be sticking these on everything. And I also chose these cute little colourful bow stickers, which have a velvet feel to them. You can get 3 sets of stickers for £5! 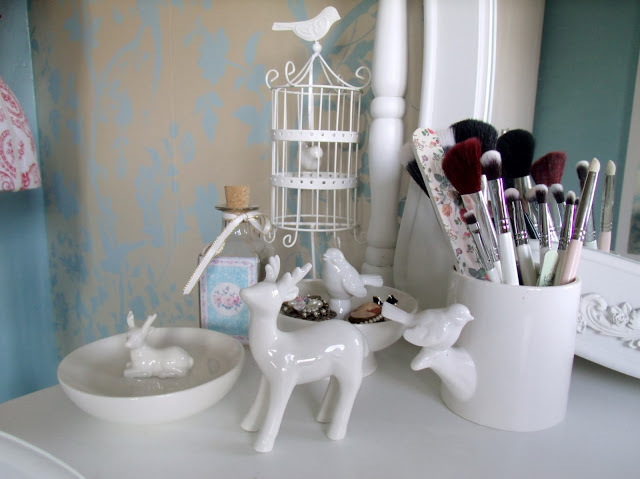 Oh, I love the bird holder, and I would love the floral wall hanging for my room! Super cute items!